My friends used to look at me funny when they would spy my crayons and coloring books in my travel bag. I found coloring to be a way to relax my mind so I could focus. If I was stuck on a project or if I really needed to think about an issue that needed a lot of brain power, I would color for 15 minutes. More often than not, I was able to solve the problem, retain focus, and meet my goals. 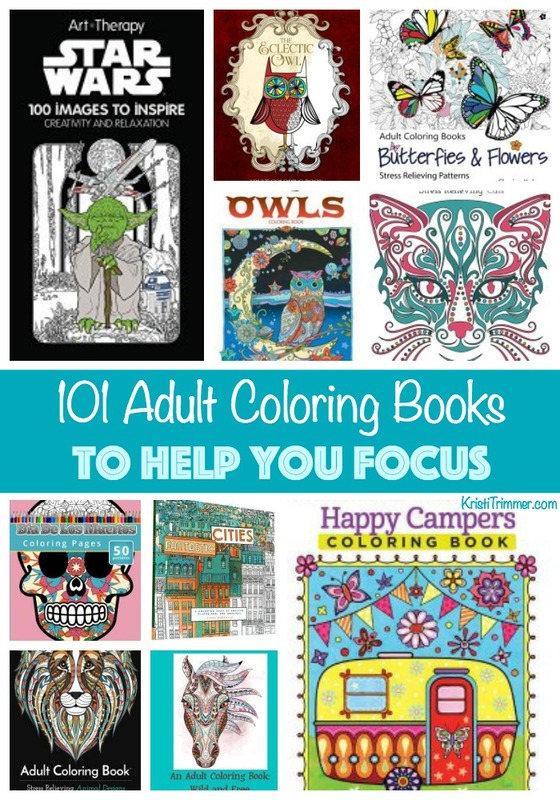 Who knew coloring was so useful for adults! Imagine my surprise as the popularity of Adult Coloring Books really took off this past year. No longer do you need to color in your kid’s Disney coloring books as there as coloring books made just for us – adults! I’m picking up the Happy Campers Coloring Book as it symbolizes my life right now. Crayola has a new adult pencil kit which also comes with coloring pages in different themes. This time around, I’m going to go with the colored pencils instead of crayons. Let me know in the comments which coloring book you’d enjoy and you just might see one show up on your doorstep!